September is always a super Brucey bonus time for events in the city. Need proof? See what’s coming up below. I’m exhausted just reading it. Have we missed anything? Let us know in the comments! This year’s Empty Walls project will be launched on Friday night, alongside an exciting exhibition of urban art, from in-gallery murals to sketches, prints and live painting. Come along to celebrate the opening of the exhibition and to start the project with a good ol’ knees up! Live music, cinema room, bar and bloody great art! A whole load of stuff going on at the Spit & Sawdust Warehouse, Art Space, Cafe & Skatepark …. – Outdoor courtyard. Outdoor wood fired pizza oven / Pop up Icecream van DJ booth / Red Bull mini drome / Rothfink modified VW Car display / Graffiti. – Boutique cafe & craft beer bar. Home cooked / Organic meat / Locally sourced foods / Homemade cakes / Craft beer / Punch / Pop up stalls / Sneakers / Vintage / Streetwear / Deadstock sale / Free WiFi. – Warehouse skatepark. Live music stage / Huge visual screen / All day Skateboard & BMX jam / Giveaways and prizes / Mini ramp jam / Best trick comp / Highest ollie comp /Highest bunnyhop comp / Warehouse party til late. – Upstairs hidden gallery. Vintage skateboard display / Retro BMX display / Art / Skate photography / History of skateboarding in Wales micro cinema. 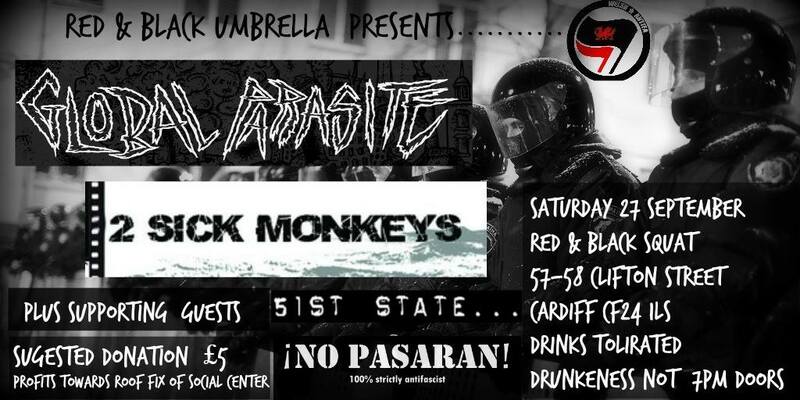 Red and Black Umbrella are holding a benefit gig to fix the roof of their building in Splott. 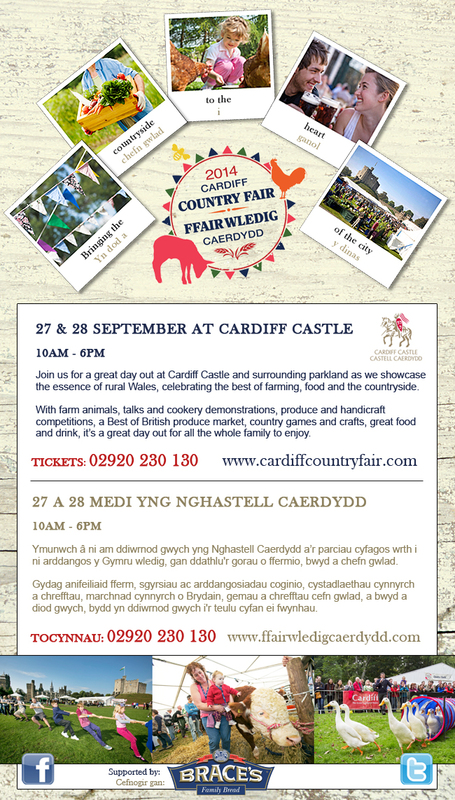 Takes place in the castle on Saturday and Sunday. With 30 years of performing skills and experience, including Slava’s Snow Show, Chris Lynam brings to life, a brand new character, ErictheFred. ErictheFred is a clown, but if you think you know clowns – think again. Here, the traditional art of clowning is taken to another wondrous level. This is a curious and poignant story of an old trouper trying to come to terms with a fading career. Join us at the City Hall for vintage fashion and homeware and of course the vintage beauty salon! 11am – 4pm, High Street, Cardiff. Why come long? Because its’s the only place in the city that you can eat a selection of the finest street food. A fortnightly street food feast-ival of amazing independent traders serving from 11am – 5pm.